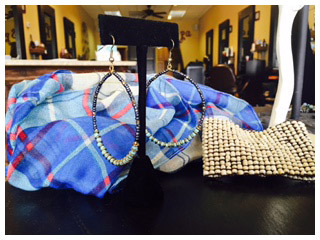 Our trendy boutique caters to women of all ages with a desire for style! Our personalized shopping experience is as one-of-a-kind as the items we carry. We take pride in the quality of our service and our relationship with our customers. 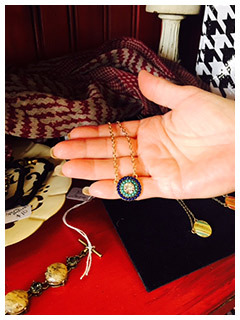 Unique & eclectic, we hand pick our jewelry line. Funky, fashionable, trendy are words to describe our wide selection of purses and handbags. Classic and contemporary seasonal scarves. 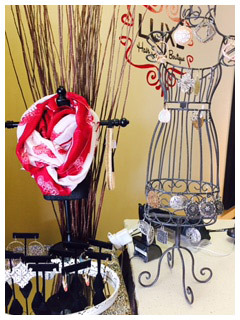 Our trendy one-of-a-kind items are a must see, we have something for everyone! Visit our Plymouth hair salon today or call us at 763-476-5008 to book your next appointment.